At only nine-years-old, the wonderful Hayley LeBlanc has accomplished a countless amount of exceptional things. This gem became an instant fan-favorite after watching her in the fantastic videos that have been shared on her family’s highly-acclaimed YouTube channel, Bratayley. After seeing her exuberant and bubbly personality in all of the videos, we all knew that Hayley LeBlanc was destined to do great things in the entertainment world – and that, she truly has done! Hayley LeBlanc has become a sensation at such a young age and she can always put the biggest smile on everyone’s face. She is such a gifted and marvelous actress. She has exhibited her talent in several shows on the digital network, Brat. Hayley LeBlanc has starred in Chicken Girls, Mani and Brat’s brand new show, Hotel Du Loone. She also showcased her excellent, acting skills in the fantastic Chicken Girls: The Movie which premiered today. In every project that she works on, we can see that Hayley LeBlanc has such a natural flair for acting and entertaining people. Her vibrant persona will warm your heart immediately. It’s clear to see why Hayley LeBlanc has become everyone’s obsession and she, without a doubt, deserves all of her successes and the many more coming. I, Alexisjoyvipaccess had a great time covering the premiere of Chicken Girls: The Movie and had an amazing time interviewing the phenomenal Hayley LeBlanc at the event. Hayley LeBlanc dished exclusively to Alexisjoyvipaccess all about what it was like for her working on Chicken Girls: The Movie, what the experience was like for her working on her new show Hotel Du Loone and so much more only in our VIPAccessEXCLUSIVE interview. Hayley LeBlanc even took on a fun speed round and revealed what her favorite song at the moment is, what is something that fans may not know about her, what her fave emoji is and more – hear what she had to say in our VIPAccessEXCLUSIVE interview below. Thanks for the fun interview, Hayley! Check out my VIPAccessEXCLUSIVE interview with the incredible Hayley LeBlanc at the premiere of Chicken Girls: The Movie below. Be sure to watch Chicken Girls: The Movie out now on Brat! 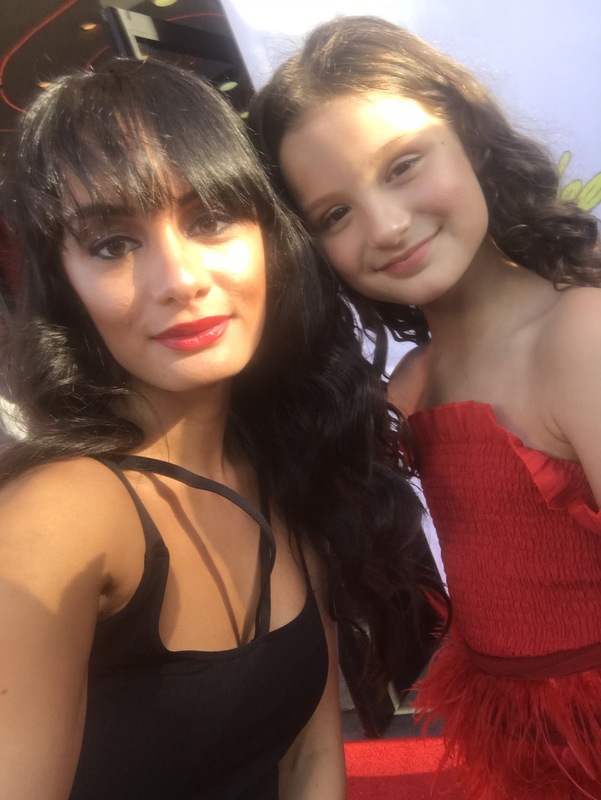 Previous VIPAccessEXCLUSIVE: Annie LeBlanc Interview With Alexisjoyvipaccess At The “Chicken Girls: The Movie” Premiere! Next VIPAccessEXCLUSIVE: Tayler Holder Interview With Alexisjoyvipaccess At The “Chicken Girls: The Movie” Premiere!